My apron is to me, what Superman’s cape is to him. It’s like it gives me magic cooking powers in the kitchen. Whether or not that is true, it’s certainly how I feel. Never mind that I’m 25 years old – I like to pretend. Just like when I was 5 and had a fake mini kitchen in my bedroom. I started collecting aprons a few years ago. My assortment is strung on a clothesline, by the window in my kitchen. This here, is my current favorite. The one I wear the most. First of all, it’s Yellow. Which is my most beloved color:) It is blissful and bright, and when I wear it, that’s precisely how I feel. Second, it’s from Anthropologie. And who doesn’t like that store? Third, Andy bought it for my 25th birthday gift last year. It is charming and lovely. I think I’ll keep it forever. 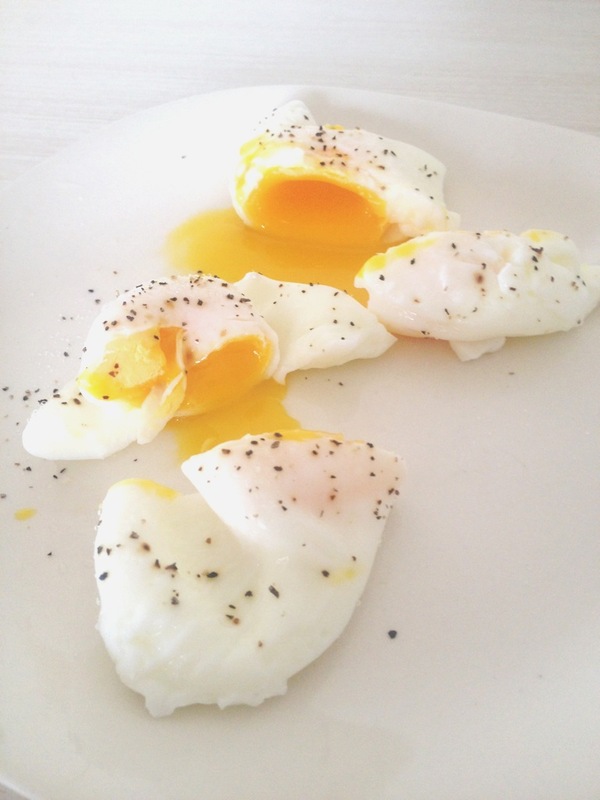 And since we are on a “yellow” theme, I present to you, one of my favorite quick breakfasts: Poached Eggs. To some, this photo looks delicious. To others, not so much. I know there’s a lot of mixed feelings about poached eggs. Make some toast to dip in the yolk! Or as Julia calls it, “cheese sauce.”DONE! Easy right? My life has changed because Glorie has a blog.